When it comes to personal stuff, we can easily find ways to declutter and be more minimalist. But when it comes to kids and toys, things can get a bit complicated as we are not the only ones in charge of what enters the house or what stays in it. But I want my kids to learn to value who they are more than what they have, to value experiences and people more than objects. I want them to understand that happiness and contentment cannot be found on a shelf in a shop. Therefore in the last couple of years, we have gradually changed our approach when it comes to toys so that it also reflects our values and way of living. I know that minimalism means white nothingness for some, but for us, it just means owning what we need, nothing more, and being free of attachment to stuff. 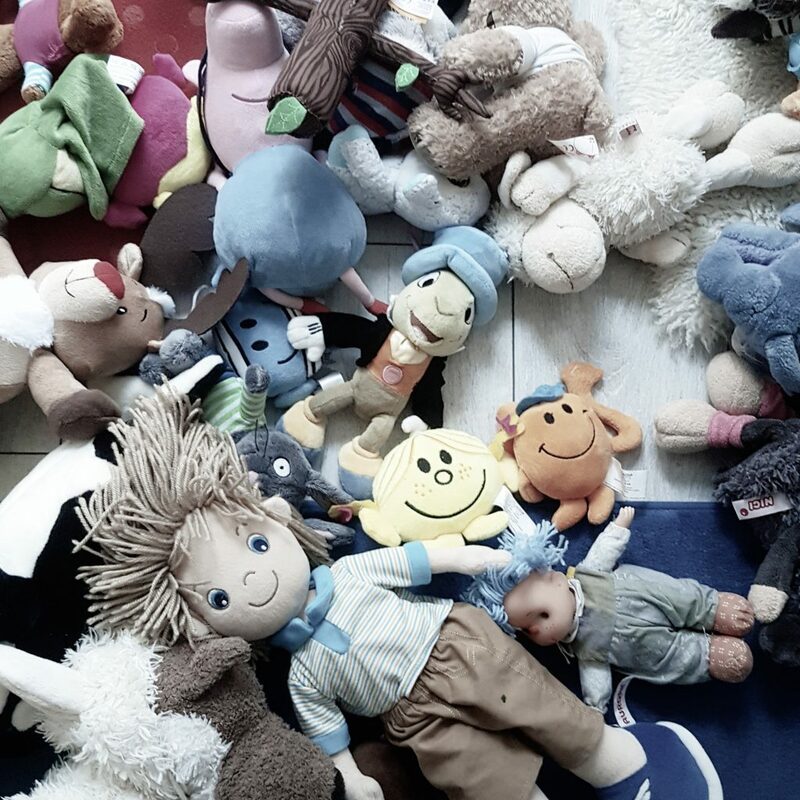 In the decluttering process, we need to keep in mind that toys have different meanings at different moments in kids’ development. When they are babies, they can become emotionally attached to a certain toy (the ‘transitional object’ as psychologists call it). Around the age of two, the sense of ownership starts to develop (‘mine’ phase). As kids grow older, things start to have a certain value to them: a toy can remind them of someone special or can become part of their identity (dinosaur toys for a ‘dinosaur expert’ for example). 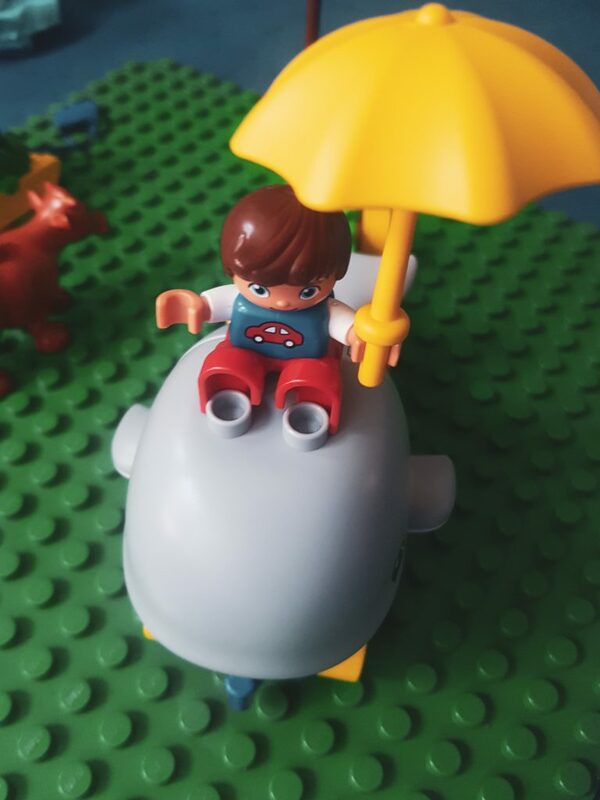 Toys also can start having a value that we might induce without realizing it: if we show our love or appreciation towards them through toys (using them as rewards for example), kids will be more interested in toys and ask more often for them, in reality asking for proofs or confirmation of our love. We need to take all these into account when we start to adopt a more minimalist way of living or when we simply want to declutter the toys. Note: decluttering is an ongoing process, not a one time only event. Toys will start piling up in your house at times like birthdays or Christmas. So what you can do is set a time, twice a year or once per season as agreed with your kids, and go through all the toys. With them, decluttering should go smooth as long as you don’t give away the transitional objects. You can watch their play carefully for a few days to notice how they engaged with what toys. This will make it more clearly to you which toys capture their interest for longer and which ones are just taken out and discarded few seconds or minutes later. This way, you will know what to keep. You might end up with a handful of toys, but you can rotate them regularly to help keep their interest. 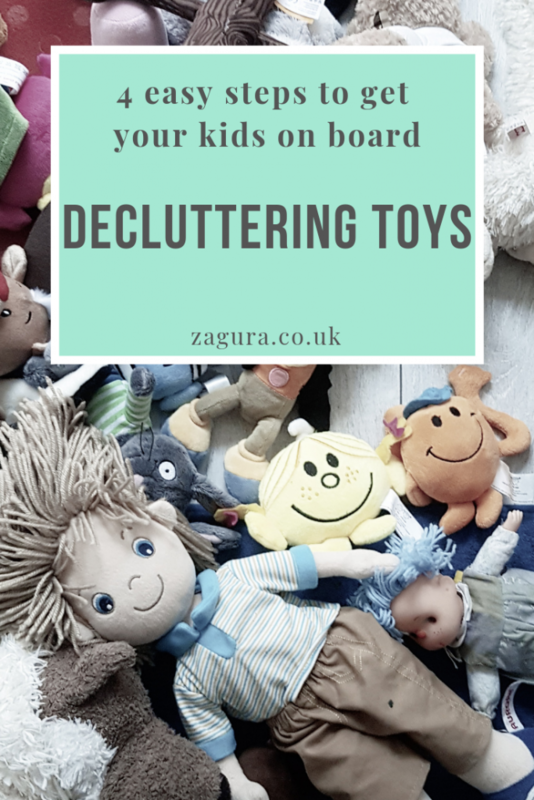 If you are planning a toy decluttering with kids that are no longer babies, I do suggest doing so with your kids present because I don’t think getting rid of other people’s items without their consent is a lesson we want our kids to learn. I know it might not be what you had hoped for, but this experience will help you and your kids in the long run even though it’s more difficult right now. Also, keep in mind that you are decluttering the kids toys, so they are the ones who decide what to keep, not us. This is tricky, as it happens at every decluttering that kids decide to say goodbye to at least one toy or game that I really like. And I am sad, but toys decluttering is not about me, is it? Now, to get things started, you could start by explaining that you will not throw away any toy, but whatever you both decide you can do without will be given to someone who will find it more useful, or to someone who doesn’t have toys. Also, make it clear that you will keep things that have value to them. The next step could be a playful one. 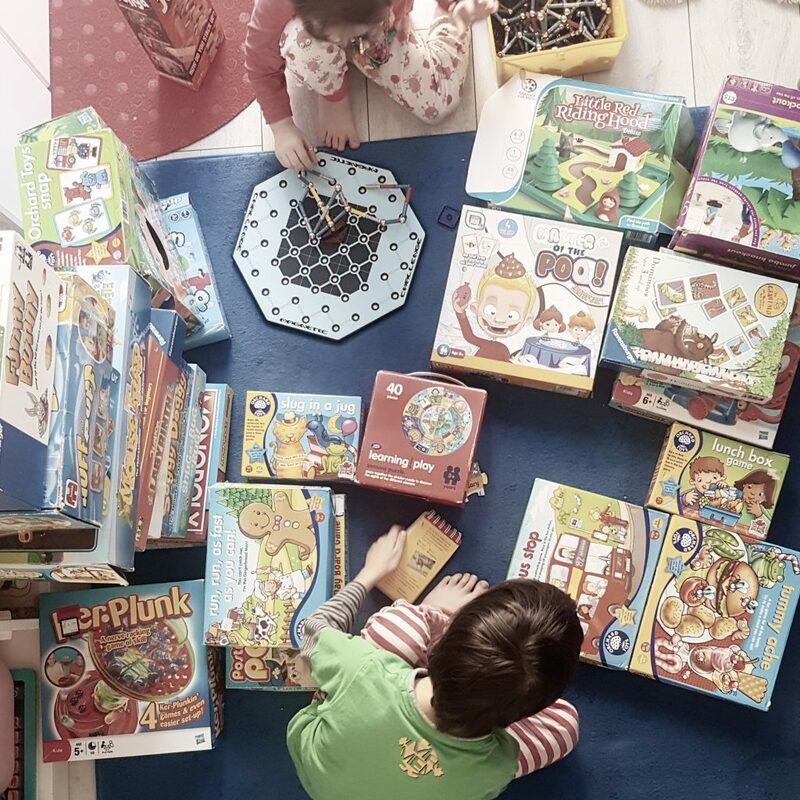 You could help them get a better idea of how their life would be with fewer toys by suggesting an experiment: you could all decide what toys to pack up and put in a big box in the basement/garage for a couple of months. Make it clear that no toy from that box will be thrown away for now. If for a certain amount of time (you decide together, it could be 2 weeks or 3 months) they don’t miss and ask back for any toy, you can give those toys away. Or you can make a deal with your kids to come back to the box in a few days and decide for each toy if they really want to find a home for it in their room or if they are done with it, if they are ready to say “to be honest, I did have fun with it but I am now ready to say goodbye, we can give it to someone who will love it from now on”. 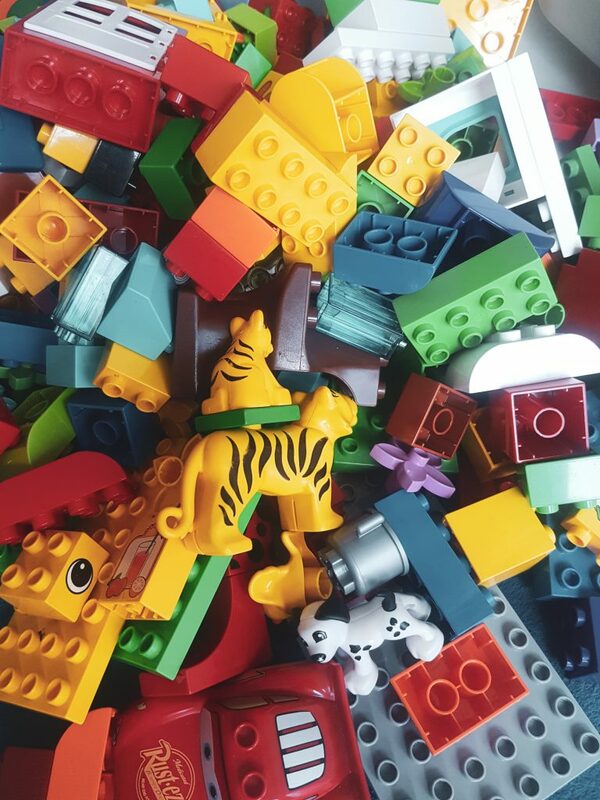 Another idea that works in our family is the ‘Space’ method: we designate a clearly defined space for a certain type of toys, and we keep what we want as long as it fits that space. So we have a small box for toy cars for example, and kids keep whatever cars they want but all the cars need to fit in that box. The same applies to play-doh or soft toys and so on. This way, the kids are in charge of what stays and what goes and they also practise making decisions and choosing what is worth having (when we go shopping for example). What about new toys? First of all, we want the kids to understand that they don’t need all the toys they see. Secondly, we ask them if they have time to take care of the new toy and if they have space for it. If they say yes, all is good. If they don’t have time or space, we might ask them what other toy have they played enough with and are ready to say goodbye to in order to make room for a new toy. That’s when they (and you) realize how much they actually want a certain toy as sometimes they will say “Oh, on second thought, I don’t really want it.”. Some of the toys that kids have no one to offer to as a gift can be donated to a charity, medical center, nursery or local church, a process that will teach children about people in need and about helping each other. 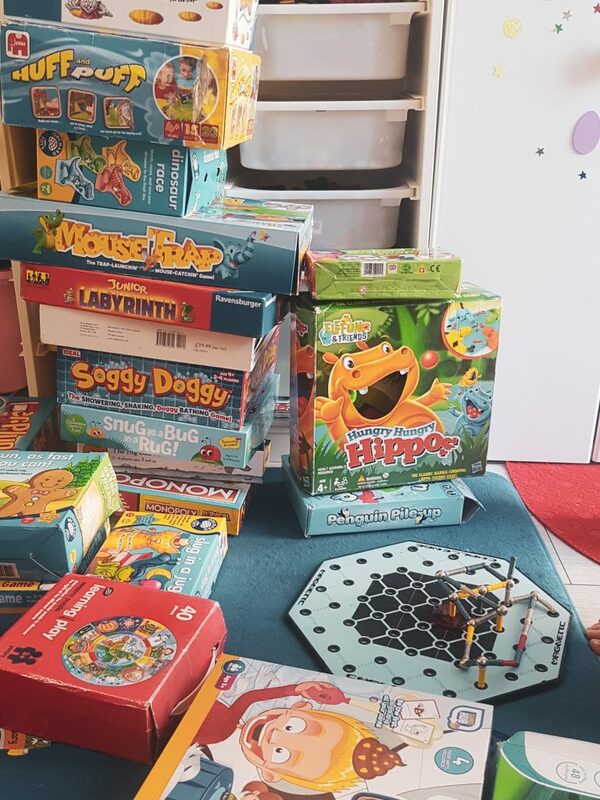 Some of the toys can be sold at a car boot sale or online. This can contribute to teaching the children the value of money, how a price is set, how to sell a product and how to maybe even negotiate. We just have to take care not to go overboard (I wouldn’t want my kids to try and sell the family car to buy tickets to a concert, would I?). The money earned can be used towards an experience or a new toy, whatever the kids decide, it’s their choice, they are in charge. At times, it might be hard to say goodbye to a toy received as a gift, because even us adults are sometimes worried that this will affect the relationship with the giver. Still, a gift is a symbol of love, appreciation, consideration, and it shouldn’t tie you for life. Relationships are more than gifts and objects. The gift was offered with love at THAT moment, and the act of giving was the important one for the giver and receiver. So you can explain and help the child understand this and think about how the toy was used with love and that it might be time to be lovingly offered to someone else. This will also help the child when he finds out gifts from him were given away: he will know not to take this personally in any way and value the friendship just the same as before. Toys minimalism is a decision, it requires thought and intentionality. The idea we talked about earlier and called ‘the space’ will help tremendously with keeping toys to a minimum, and here are other things that might be helpful. Going shopping with kids in a shop that has toys is a scenario that might frighten parents, and for good reason. What works in our case to make a trip to the supermarket and even the toy shop ‘tear-free’ is the magical wishlist! I have two kids, so I always have two wishlists with me, on my phone. Whenever the kids see something that they would like, be it in a shop or at a friend’s house, I take a picture or find it on the internet, and save it to the wishlist. This way the child feels heard (“Mummy understands I want that toy, she is not ignoring me or fighting against me!”) and is not afraid that if we don’t get the toy right that moment, everyone will forget about it and never buy it. Ads can be a huge influence when it comes to kids and toys as media sends messages telling the kids that they need the latest toy. Ads are designed to create the desire for a certain product, to make the viewers believe they will be happier or more popular or will fit in if they have a certain product (toy in this case). This persuasive intent is something kids will start to understand after the age of 8 (1, 2). Here is where screen time talk comes in, and I know it’s a controversial topic. At the same time though, limited or controlled screen time means less exposure to advertising, therefore fewer chances for children to want things. Also, explaining to kids that the kids on TV are paid for the ad and are just acting to sell the product might help kids understand the persuasive intent earlier on or at least wonder “so this toy wouldn’t actually make me as happy as this kid claims it would!”. Kids will receive gifts containing toys. Receiving gifts is a wonderful experience because you learn how it feels to receive something and so you learn how to offer something to make someone else happy too. Still, gifts don’t need to be toys, and once you’ve decided to adopt a more minimalist way of living, you can tell your family and closest friends about this, share with them your views and explain to them that your kids will also be happy receiving tickets to a theatre or a movie, money towards a special item from their wishlist, subscription to a science magazine or tickets to the zoo or to go karting. I personally have no trouble decluttering my stuff (and the occasional stuff that belongs to my husband ahem) but I can’t seem to do anything with my son’s. Not because he doesn’t want to but mostly because I keep thinking, “but he plays with aaaaall his toys” or “these clothes still fit” or “he’ll grow into them” or “he doesn’t read them now but he loves books and he’ll eventually read them”. He’s two now and we’ve got toys, books, clothes … everything everywhere. We write about creating a blissful home through simple living but it’s a process and I’m sometimes very impatient. I just want it over and done with, but you’re right – it’s not a one-off event. Such great tips! Some of these we already do, but some were new. Right now, if my son (4yrs) wants a new toy that is not something small, we decide a number of toys we need to donate. It helps us slowly declutter and he gets a new toy that he wouldn’t normally get. That’s a great approach to keep things ‘under control’ 😉 And I’m glad you found useful tips in my post! I absolutely love that you’re teaching your kids minimalism and the value of things – I think my own generation and younger are definitely spoiled by our consumerist culture. Whilst I don’t have kids my God-daughter has so much stuff, it’s unreal, I always give her money or experiences gift wise now. 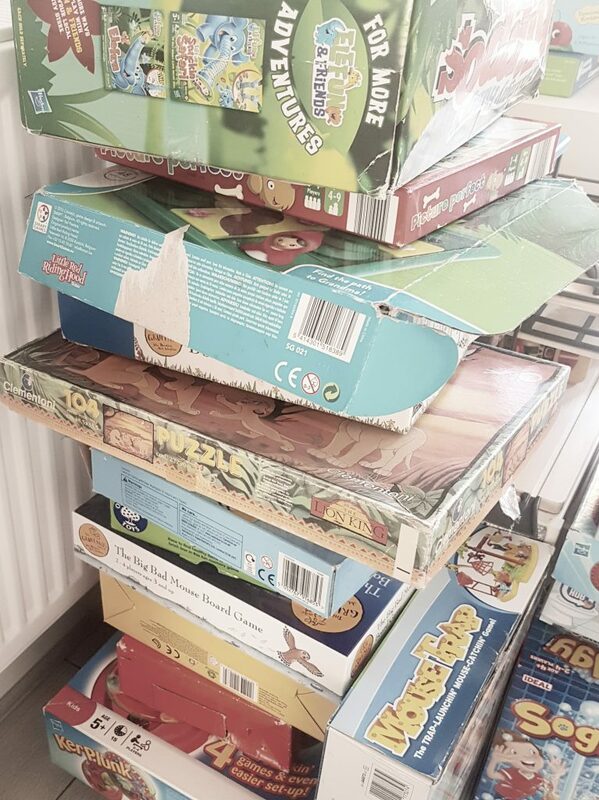 I think it is very important that children also learn to have the right and be able to clean up their games! A great post on minimalism! We are complete minimalists and I love this lifestyle. Our twin toddlers are so concentrated and peaceful while playing with their limited toys. Outdoor is where all the fun is! These are some great ideas for reducing clutter, and teaching kids how to appreciate their toys, as well! Glad I saw this post! 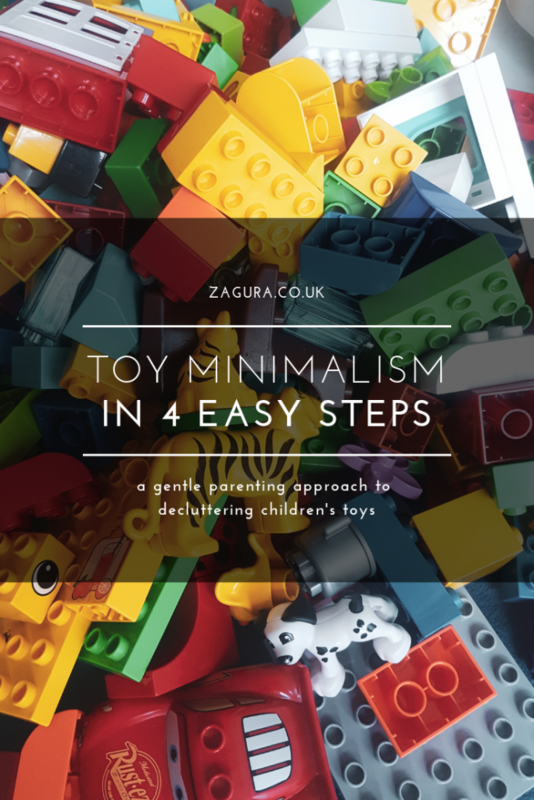 We are trying to declutter the toys in our house and practice minimalism more so this is a very handy guide. What a great detail post to educate the young one. Love it and I shall follow step by step and see if I get the result. Lovely reading the inspirational parenting tips on the ways to reduce the fascination of toys among kids. Teaching minimalism to kids has greater benefits as they will carry this habit throughout their life. Enjoyed reading thoroughly. This is such a great idea! I think decluttering in life is really important and letting things go as well. I do have a lot of stuffed animals and I try not to buy new ones. This is such an important post for all parents to read. I have to admit I’m guilty of always buying toys, and the kids only like it for a few days and they’re bored! A really great and informative post. After moving months ago, my kids actually like decluttering. They love to donate the items they don’t use anymore! These are some really great tips to reduce the clutter! So glad I found your blog; just in time for Spring cleaning! Decluttering is what I really need to do right now. It is so hard for me to teach my kids to be a minimalist. We have so many toys at home. Thank you for sharing such a tips. Great article. 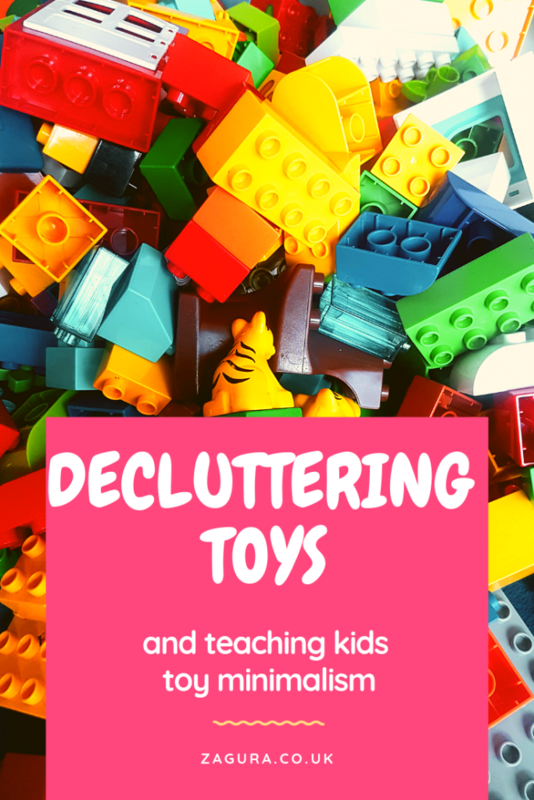 This is a topic I know I need to learn more about and you really helped me understand some good ways to get started decluttering toys at home. This is such a huge issue for me. I feel like I am always reducing stuff but always have more!